This beautifully presented three-bedroom home is located in a small cul de sac development just off the Roscommon Road. This fine property, which comes to the market in ready to occupy condition, is the ideal home or investment opportunity. The interior offers three bedrooms, one reception room, three bathrooms, central heating, and attractive decor. The exterior boasts gardens, a patio area, and private parking. 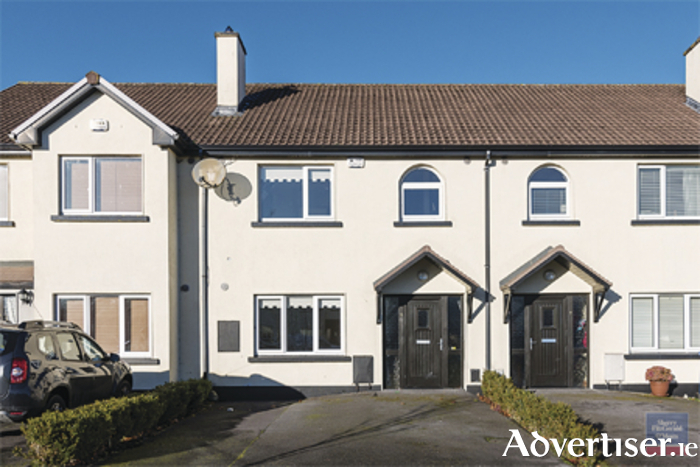 The home also offers easy access to the Dublin-Galway M6 and is within walking distance of all amenities. The property is approximately 100.2 square metres with a BER C1 energy rating. For more information or to arrange a viewing call agent Helena Kenny on (086 ) 8119190.